Welcome to CivilWar.net, a unique emporium of knowledge! As far back as the Paleozoic period humans have recognized the benefits of eating or applying herbs to the skin. 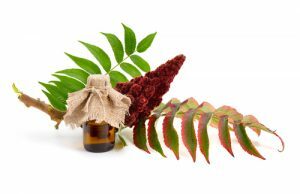 Through cultures and eras, trial and error, and instinctive sense, our understanding of the amazing power of natural remedy has developed through the ages. 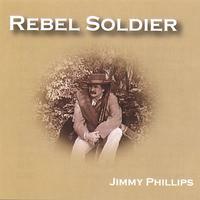 The Civil War era represents an intersection of folk remedy and scientific medical practice in the use of herbal remedy, with advancements in our understanding of the human body, germ theory, sanitation, and the ability to determine chemical components of the plant, and development of the business of medicine. The American Civil War spurred evolution of the industry as the need for expedient and widespread injury and pain management increased, and folk healers and nurses–most often women–started forming an important alliance with the growing profession. Florence Nightingale’s Training School (1860) represented a turning point in the medical industry as nurses began accessing the scientific advancements of the century. During this period, plant remedy and developed medicinals intersect, allowing a varied approach by both medical practitioners and folk healers. CivilWar.net focuses on this period of growth, discovery, and acceptance of both natural and man-made health care products and practices. The fascinating history and evolution of modern medicine is deeply rooted in the American Civil War. 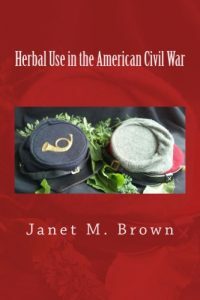 Many of the Civil War era plant remedies have proven scientifically-sound by modern day medicine, and a resurgence of “folk” remedy is underway. While the medical profession concentrates on healing an ill, plant remedy often addresses the body’s ability to heal itself. Through the sections of this website we will offer modern day adaptations to these remedies, and offer sources for acquisition of similar products. These are not offered as a cure, or medical advice, for any condition; but as a resource to explore history firsthand. Plant use varied by region, import and exposure, and was often inspired by health and injury needs. If you are interested in growing your own period-correct herbs, please visit our Garden Section, where we offer a guide to growing Civil War era herbs, related to modern day geography and modern day growing Zones. We offer links to both heirloom (original seed) and cultured seeds and plants which have been adapted to wider areas of growth. We also offer links to Civil War period garden products, ornaments, supplies and tools, as well as horticultural and reenacting events throughout the United States. We welcome you to contact us for listing and advertising opportunities, or send your ideas and requests for additional information. Our goal is to build a community of horticulturists, gardeners and Civil War buffs who wish to learn, share and contribute to understanding more about the natural world around us, through the eyes of early medicine.